The Cavaliers Team Shop at Rocket Mortgage FieldHouse will temporarily close its doors beginning Monday, August 13th while construction surrounding the storefront continues as part of Rocket Mortgage FieldHouse Transformation. Normal Cavs Team Shop hours of operation will resume in early October with the beginning of the 2018-19 Cleveland Cavaliers, Monsters and event season. During this time, fans are invited to visit Cavs.com/Shop for an extensive selection of the latest team gear and a special FREE SHIPPING offer. No code is needed –free shipping will be applied on all orders shipped UPS Ground within the US. The free shipping special offer will also apply at MonstersTeamShop.com, ChargeTeamShop.com and GladiatorsTeamShop.com. 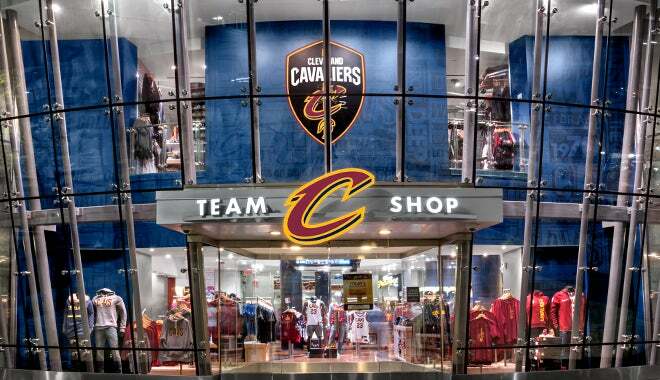 Follow @CavsTeamShop on Facebook, Instagram and Twitter to stay up-to-date on the latest Team Shop news, special offers and more.